Great new site - love the search function at the top. My only question is as to how the ordering / payment process works? Does a buyer fill up his shopping basket and then send you a request, after which presumably, you e-mail people back with confirmation? Then, how would the buyer pay? Hope you generate lots of sales from near and far. Even before people buy, the site is a marvellous visual archive in its own right. Basically, yes. The website sends me their order electronically, to which I reply. And they pay me either by Paypal, bank transfer, cheque, and (rarely) cash, and sometimes in exchanges. Thank you for your interest and comments. I try to make it as interesting and varied as possible, and treat every club the same. Been a bit of a slog since Xmas, continually outbid at auctions which is frustrating but hey - that's life. Also contending with a spate of similar "Bob Thomas" photos appearing at 5 or 6 auctions across the country within a couple of months of each other. Most of which ended up on EBay courtesy of one or two buyers who ended up selling (or not!) the same photos simultaneously. I, of course, ended up with some of them and a few of them are in this update but I don't think you'll find these on EBay. But I may be wrong on that. A real legend - Cliff Bastin, until Wrighty came along the record goalscorer at Highbury. Mansfield Town circa 1961 - some good players in there and also one or two caught up in the betting scandal of the time and subsequently imprisoned &/or banned for life. A sad story really. The main culprit here is Brian Phillips, back row, 2nd right, with a bit of a tear going through his head. Nothing sinister in that, I assure you. Bob Ledger of Oldham - a man to send a shiver down the spine of many a Palace fan. There were Palace, top of Div 3, last day of the 63/4 season, home to Oldham, and 1 point needed to be champions. Up stepped Bob and the balding winger grabbed a hat-trick - not to say he was goal-shy but 37 goals in 222 league games isn't exactly Ronaldo, is it? And he pooped on our party, Palace losing 1-3 and Coventry ending as champions. Cheers, Bobby! Sampdoria 1982 and they've just signed two superstars of English football - how very dare they? And here they are, milking it after their new team beat Juve. Brady & Francis. Brighton v Charlton, probably 1928. Addicks centre half Jack Pugsley hacks it clear under pressure from Albions' Dan Kirkwood (probably). A 90-year-old photo in amazing condition. And here's Jock Stein taking a cheque from Barrs' soft drinks firm who are sponsoring the European Youth League which Celtic are hosting, Easter 1973. Arsenal v Aston Villa FA Cup 6th round, 1934. A spectator is in trouble and he's hauled out of the massive crowd. The faces, expressions and headgear are priceless. The last Wanderers to win the FA Cup. 1960 and Wolves lift the famous trophy. Scorer of 2 goals, Norman Deeley, is furthest right. Thank you all for looking and your support. Sometimes I feel I'm fighting a losing battle in trying to keep press photos at the forefront of collectors' and historians' minds. But then at auctions there is so much interest and competition, and that encourages me to plough on regardless. Website update again tonight. 196 more added, stock now up to 7905, a new record. Not that that's anything to be proud of - it's far too high. For that reason I have (temporarily, probably) stopped buying batches of 200 random, unstamped, duplicated, 1980's auction lots at various auction houses when I have very similar photos already on the site. Instead I have been choosing older photos at higher prices selectively and I show some here. I've taken a bit of a gamble and a hit to my bank balance but as they say- "Quality sells!" Ally McLeod, Blackburn 1958. Move on 20 years and poor Ally didn't look quite so at ease with life. Blackpool team group, 1951. The photo's first owner was from Preston and made some disparaging comments about this side on the back. Details were in my August article in PM. Chelsea c 1930 - Wembley Wizards - Hughie Gallacher and Alec Jackson. What would they be worth in today's ludicrous transfer market? Opening day 1968/9 season, Leeds 3 Spurs 1. Pat Jennings bravely at the feet of Peter Lorimer with Messrs England, Knowles and Collins hanging around. Willie McNaught, Raith Rovers tough defender of the 50's, gets an award. Willie was the father of Ken McNaught. 1929 Postcard - Sunderland's Tommy McInally & Adam McLean, both ex Celtic. This is superb, I love it. 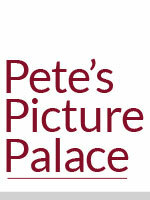 So for a wander down Memory Lane, spend 20 minutes on Pete's Picture Palace and find 196 photos in this update. And get your cheque books out! Thank you in anticipation. This is superb. Spurs in their double season, v Blackburn, New Year's Eve 1960. The now demolished East Stand looks on as Danny Blanchflower stretches in front of John White but misses the target. And this one is the 1961 Sports Photo of the Year, Gordon West of Blackpool. Now I played cricket against this bloke at school, he was in the Croydon schools cricket team (I wasn't) - and Arsenal juniors at the time (I also wasn't!). He "came home" to Palace in 1981. David Price, possibly the worst midfielder in Palace's history, and that's saying something. Another site update tonight, just in time to beat Christmas so if anyone wants a present for an uncle, grandad, dad, brother, boyfriend or even yourself, fill your boots please - and I'll post immediately first class. I picked this one up off Ebay a couple of months back, I wasn't sure why nobody else wanted it. Andy Lochhead of Villa is heading their goal v Brighton in a 2nd Div match, Sept 1972. Can anyone help me with the Brighton players, please? RAJ "Sailor" Bert Brown, Charlton Athletic either side of WW2. Lovely photo, didn't know much about him. Why "Sailor"? Because his rolling gait and stocky frame reminded his mates of Popeye. Brilliant. It's a long lonely walk for Martin Jol, sent off for WBA v Spurs in the 1982 League Cup semi final 1st leg. Not sure what he was sent off for, but no doubt he missed the second leg too. And out went Albion by the odd goal. MTK Budapest on their way home from a European tour at the height of the Hungarian uprising, November/December 1956. The narrative is in German and I'm sure it says 3 players remained in the west (ie defected) but today on Wiki it says none of their players defected at all, but 3 other Hungarians did (including Puskas). The great Nandor Hidegkuti is on the plane. Enjoy all. Some nice history there. Happy Christmas all. Pete, where is your Gender equality ? Always interesting to see these photos Pete. If l ever start collecting again, l think it would be Press Photos that l would go for. Here’s an interesting one. In May 1939 a team of German photographers were( as far as l know) given free access to wander around England and photograph whatever they wanted. Pretty handy when it is highly likely that they were likely to be at war with us soon. Hitler must have had friends in high places! This included photos of factories , military sites, army bases, recruitment centres etc. Quite unbelievable really. Anyway, here’s a photo of some top England players in May 1939 being shown the ropes. If anyone can name the four faces on show that would be appreciated. Many thanks. I've seen that great photo before. Any chance you could email a jpeg to me the right way up & I'll try to remember who they all are? Here it is the right way up Pete. Wouldn’t have a clue what a jpeg is. Looks like the picture was taken on the 9th May 39 and a report appeared in The Western Daily Press the following day. The article headline was: Thirty Footballers From Arsenal, Charlton and Fulham Joined the First Battalion, Royal Fusiliers Yesterday. The German description on the back of the photo mentions The Royal Fusiliers. I think the player 2nd to the end of the line is from Arsenal. iPad sent photos are not that sharp. The person who l bought this off had other images taken by the German photographer, but l only purchased the football one. Seems odd that German photographers had free reign to take whatever pics they wanted in England at this period in history. A jpeg is probably what your image is already. No matter anyway. I think Eddie Hapgood is in it and one or two other Gooners but it's a few years since I saw this photo and I really can't remember now. 1923 FA Cup Final - an official reprint in 1964 produced by the agency when West Ham reached their second final. Beautiful photo in great nick, with Billy the white horse in the distance. What's not to love about this photo, albeit 41 years younger than the image shown? And what price for an original original? This 1964 version is £25. I reckon you could stick a 0 on the end for a 1923 version. There are many new team photos in this batch, and this is one of the best of them. Leicester City, 1937, at some function or other. To be fair most of the team groups are a bit more modern than this one! West Ham Utd about 1936. Peter Simpson (still Palace's record goalscorer) is left, Ted Fenton central, and on right is Jimmy Ruffell, who with 505 league appearances was the Hammers record holder till Billy Bonds overtook him. Frederick Ingram "Fanny" Walden, Spurs, c 1913 or soon after. Signed by Fanny and dedicated to Jamie. In flimsy condition overall but over 100 years old. I found out that, after leaving Spurs with 2 England caps, Fanny joined Northampton for a season, all the while playing county cricket for Northants. He then became an umpire and reached test level, standing in the 1938 test at The Oval when Len Hutton scored 364, England got 903-7 dec, and beat Australia by a record margin of an innings and 579 runs. That was a "timeless test" that was all over on Day 4. Imagine the scenes today.